There are two versions of Pyxis Clock:In, a stand alone version and Cloud version that works with a remote database. With Pyxis ClockIn, the task of recording hours worked is eliminated. In the European Union, this application assists employers meet their obligations under the EU Working Time Directive. This application records all hours worked for each employee and automatically emails that report to the payroll manager or whoever is responsible for wages. It can also be configured to automatically clock-out employees after a given time-period. This application is incredibly easy to use and is very dependable. It can be used with an unlimited number of employees. 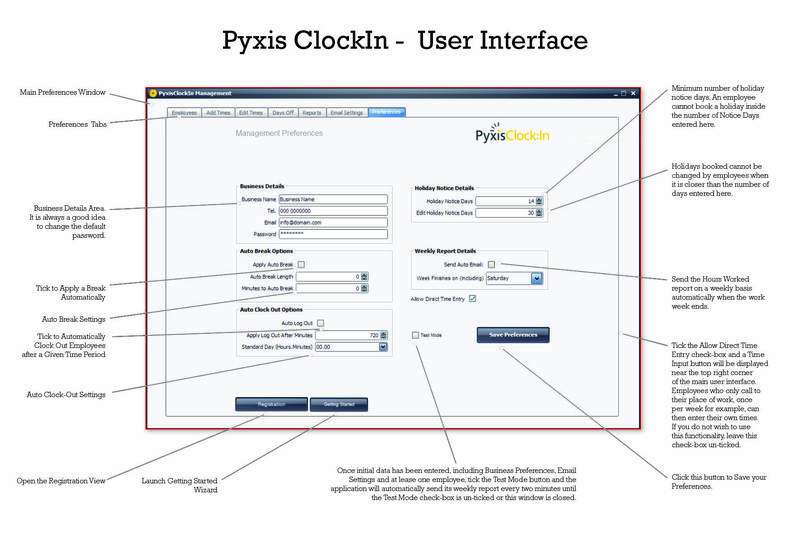 Follow this link to check-out the many features of Pyxis ClockIn.